“My world is in Indiana and this, here, is what I do for a living. I wish I could do it better sometimes than I do. That’s the same as anybody that cares about their job.” John Mellencamp once said this is an interview he gave to Rolling Stone magazine and it typifies the pragmatic view he has applied to most of his career. This month sees the release of a career-spanning box set with a total of 19 CDs that trace the singer/songwriter’s 35 years in the music business. In addition to classic albums like American Fool and Scarecrow, this set includes the long out-of-print soundtrack for Mellencamp’s under-appreciated feature-length directorial debut film, Falling From Grace (1992). It also demonstrates his place among a generation of profound and prolific artists that include Tom Petty, Bruce Springsteen and Bob Seger. 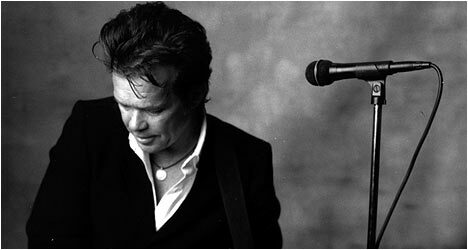 Born and raised in Indiana, Mellencamp has come to be known as a popular purveyor of Americana heartland rock music. He eventually moved to New York City to pursue a career in music. The earliest album featured on this set is 1979’s John Cougar, which includes “I Need A Lover,” a modest hit and a sign of things to come. His follow-up, Nothin’ Matters and What If It Did, did a bit better, but his commercial breakthrough came with American Fool in 1982, which features two of his signature songs, “Hurts So Good” and “Jack and Diane.” It’s a testament to Mellencamp’s skill as a writer and a musician that these songs sound as fresh today as they did back in the day. They tell simple stories of young people mixing it up and falling in and out of love with straightforward musical arrangements that are instantly catchy and memorable. The hits kept coming with “Crumblin’ Down” and “Pink Houses,” which came from 1983’s Uh-Huh. The former has a tough guy swagger and the guitars to back it up and it is easy to see why the song was such a big hit. In contrast, the latter strips it down with an ironic message that some interpreted as chest-beating patriotism a la Bruce Springsteen’s “Born in the USA,” but looking deeper it seems that Mellencamp is disillusioned with what America has become. Two years later, Scarecrow continued his string of commercial and critically successful albums with some of his most recognized hits, “Small Town” and “R.O.C.K. in the U.S.A.” The former picks up where “Pink Houses” left off as Mellencamp champions and also scrutinizes life in small town America as he sees it. With this album, Mellencamp zeroed in on the problems American farmers faced while venting his disappointment with the failure of the American Dream. It was in 1985 that he became more politically active, helping organize Farm Aid along with Willie Nelson and Neil Young. He would continue to champion the American farmer’s struggles by giving concerts that put a spotlight on the issue and even testifying before a congressional subcommittee in 1987. The Lonesome Jubilee record saw Mellencamp introduce more of a folk music influence into his sound and shift from songs that celebrated Middle America to ones that observed its decline. Prior to making the film Falling From Grace, he had come off a grueling tour for The Lonesome Jubilee album and contemplated retiring from touring. He took up oil painting as a hobby, which excited him more than making albums. Three years and one divorce later, he had finished another record and made Falling From Grace. The underrated soundtrack features the likes of Nanci Griffith with a song called, “Cradle of the Interstate,” Janis Ian’s “Days Like These,” and Mellencamp wrote “Sweet Suzanne,” assembling a group to record it that consisted of himself, Joe Ely, Dwight Yoakam, and John Prine, who also wrote a song called, “All the Best” for the film. The albums Mellencamp made in the 1980s and early 1990s looked inward and had a more personal feel to them, which culminated with Mr. Happy Go Lucky in 1996 and that seemed to address his brush with mortality in the form of a heart attack in 1994. He continued to consistently release albums through the late ‘90s and early 2000s, stretching himself as an artist by collaborating with the likes of Public Enemy’s Chuck D and covering legendary artists like Robert Johnson and Woody Guthrie. Throughout his career, Mellencamp has never forgotten where he came from – a lower middle class household and it is this social strata he would mine in a lot of his iconic albums made during the ‘80s and beyond. If Springsteen championed the blue collar spirit on the East Coast, then Mellencamp did the same for Middle America as this incredibly comprehensive box set so amply demonstrates.